Easter is a wonderful chance to take an extended break from work, relax with family and friends and gorge oneself on seafood and slow-cooked lamb. Let's face it though, for kids it is all about the excitement of an egg hunt and those brightly-coloured foil-wrapped treats shining from all corners of the garden or home. In an increasingly sophisticated world, however, even kids are learning to care about the quality of what they eat at easter time. CHOICE put 14 kids in a room with loads of chocolate to determine which chocolate Easter chocolate tastes the best and one bunny came up trumps over the others. Cue gleeful screams and sugar highs. 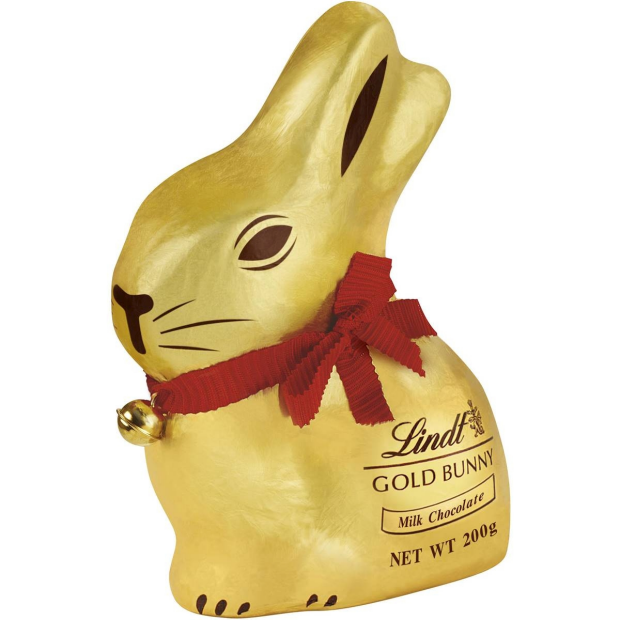 The winner will be be no surprise to adults who have been big fans of the Lindt Gold Milk Chocolate Bunny ($4.50 per 100g) since their taste buds matured. It seems the kids agree. Australians love their Cadbury chocolate and it seems the bunny version is a firm favourite too. 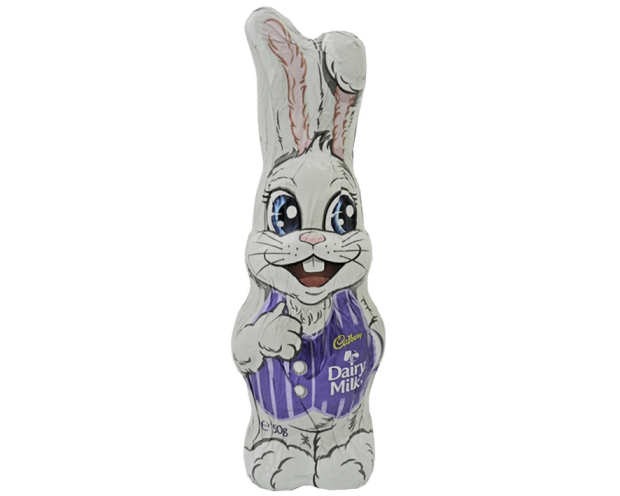 The Cadbury Dairy Milk Bunny ($4 per 80g) was awarded second place by the taste test team. 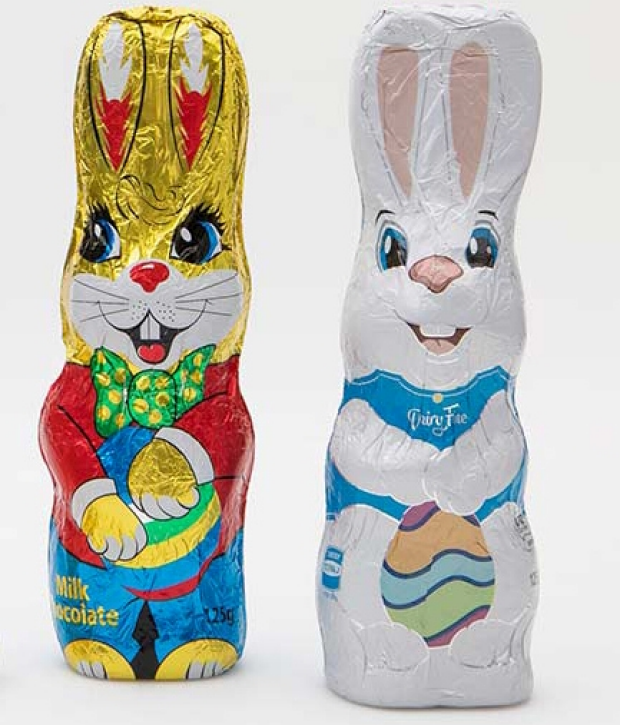 The super cheap Aldi Chocolate Bunny (above right - 99c per 125g) came in third place, followed by Woolworths Milk Chocolate Easter Bunny ($1 per 125g) in last place. 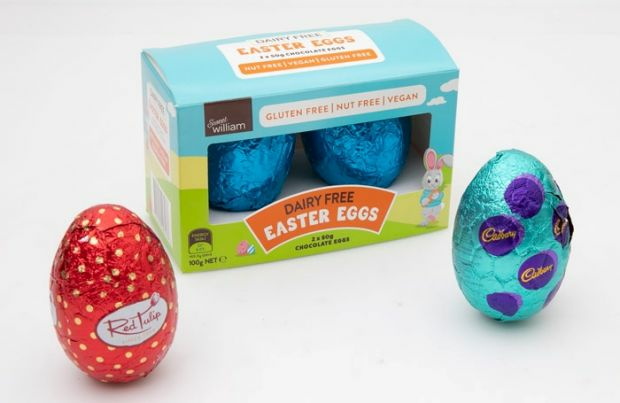 In second place among the eggs is the dairy free, gluten free, nut free, vegan Easter egg from Sweet William (Aldi sells them - $7.99 for 2 x 50g eggs). In a competition between novelty eggs covered in 100s and 1000s, it's the expensive one which came up trumps. 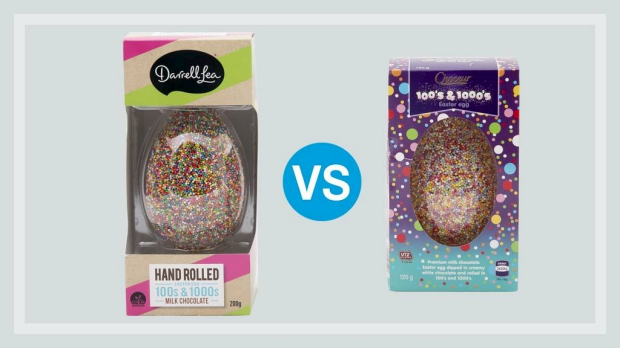 12 out of 14 kid judges preferred the Darrell Lea Hand Rolled 100s & 1000s Easter Egg ($15 per 200g) over Aldi's Choceur 100s & 1000s Easter egg ($4.99 per 120g). So now you know for sure which Easter chocolate tastes the best, you can make informed Easter chocolate purchasing decisions, though to be honest, don't we just love it all? The luxury bunny, the Cadbury version, and the cheaper than chips bunnies - we think they kids will not be too fussed in the end. And nor will you. Read the full CHOICE Easter chocolate rundown here.